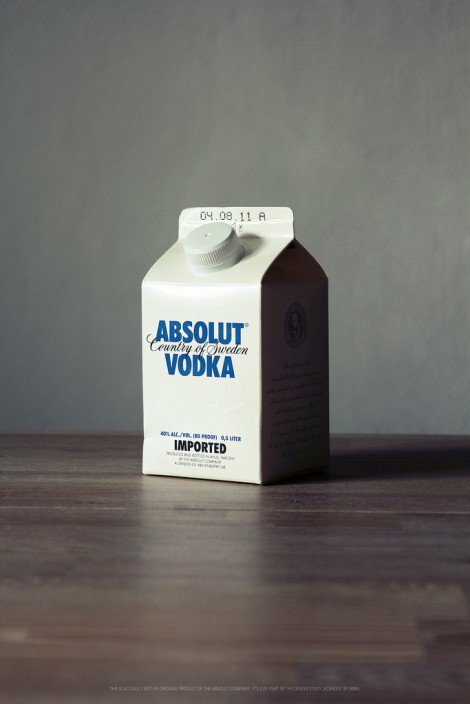 When I look at the Absolute Vodka packaging, I get a real sense of uneasiness, my brain assumes white means milk yet the idea of drinking vodka from it creates a vision of congealed vodka and milk. 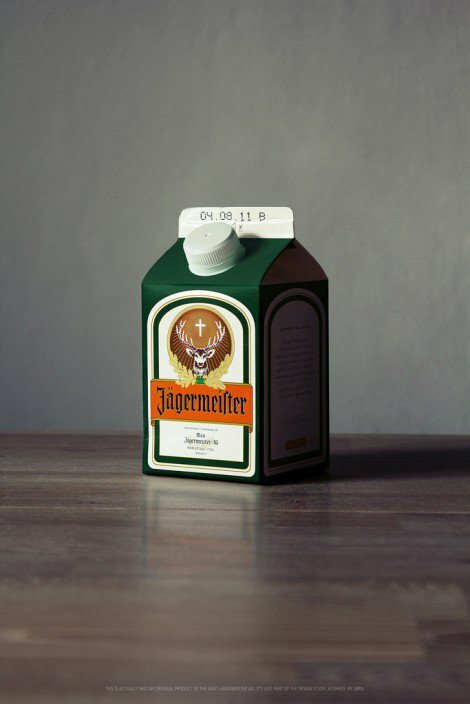 When I look at the Jagermeister carton I can’t help but feel this is like some form of Tropicana. 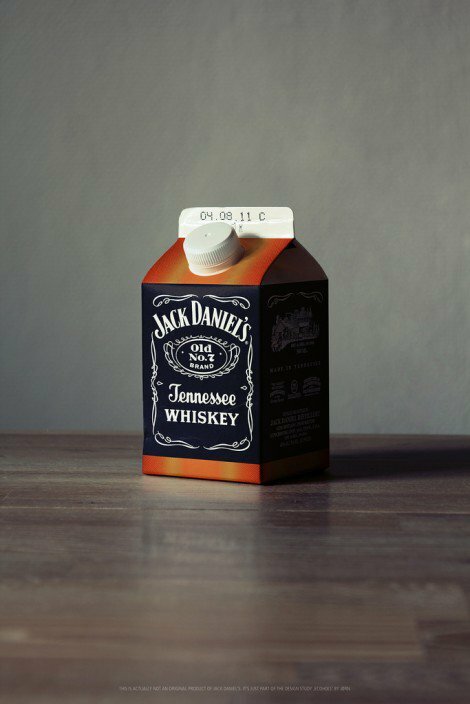 I think it would take quite a bit of social reprogramming before people would feel OK to drink anything other than juice or milk from Tetrapaks.